After falling out of favor for many years, cooking and garnishing with flowers is back in vogue once again. 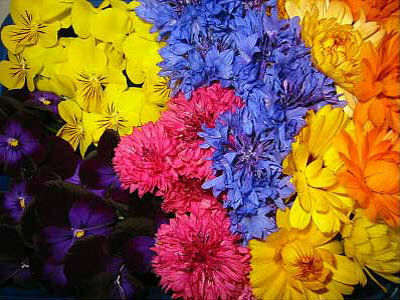 Flower cookery has been traced back to Roman times, and to the Chinese, Middle Eastern, and Indian cultures. Edible flowers were especially popular in the Victorian era during Queen Victoria's reign. Today, many restaurant chefs and innovative home cooks garnish their entrees with flower blossoms for a touch of elegance. 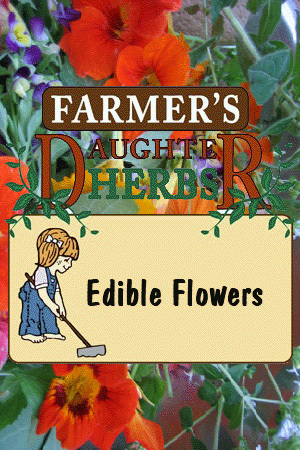 The secret to success when using edible flowers is to keep the dish simple, do not add to many other flavors that will over power the delicate taste of the flower. Today this nearly lost art is enjoying a revival.